Rolls-Royce is certainly no stranger to rarified air -- the name itself has become a euphemism for the highest levels of quality and refinement, an honor earned after over a century of excellence. In the past decade, though, it's taken the concept of refinement and tossed in more than just a touch of batshit-excessive opulence. For years, the Phantom was the zenith of Rolls-Royce, but as its production draws to a close, the company's designers have given it one last hurrah. Meet the Rolls-Royce Phantom Zenith Collection. Think of it as a normal Rolls, but with extra Royce. Even for Rolls-Royce, this is nuts -- and I mean that in the best possible way. These are the final 50 Phantoms that will ever come off the production line, both in Coupe and Drophead Coupe (convertible) forms, so the R-R team has gone all out with some commemorative details aimed at enhancing the sheer luxuriousness of the car. As if the car wasn't luxurious to begin with. The Zenith Edition comes with everything you'd already expect in a Phantom: criminally soft lambswool carpet, a constellation of LED lights on the rear ceiling, sterling silver details, and a carbon-fiber dashboard. As for the enhancements? The biggest one is staring at you from the trunk in that first picture at the top. Yes, that's a padded leather picnic bench, complete with Champagne flutes atop a glass shelf. As for the bubbly itself? 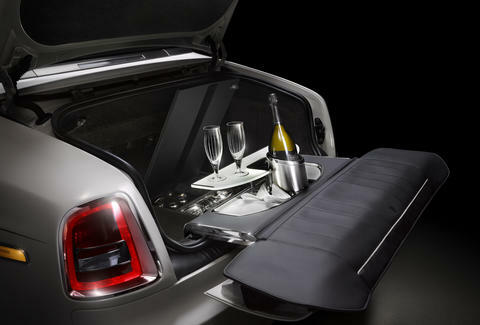 Half the trunk is dedicated to a Champagne refrigerator designed to hold two bottles and eight Rolls-Royce-specific glasses. The Russian dude from the opulence commercials just became green with envy. Oh, but there's so much more. 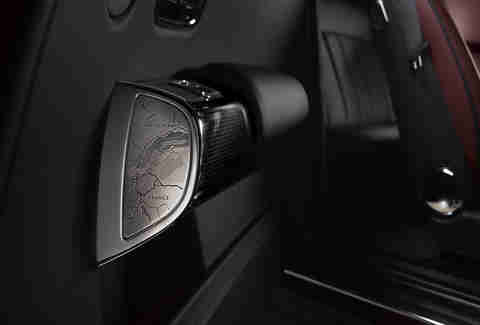 The ends of the armrests are laser-etched with maps illustrating the exact place where each car's original concept made its debut. For the curious, that's Lake Geneva for the Coupe and Lake Como for the Drophead Coupe. Even cooler than that, though, is the personalized gift stored in the dashboard. The numbers you see in the middle of that case represent the car's VIN, but it's what's inside that counts. Since these are the final Phantoms ever to be built, part of the assembly line goes inside, complete with precise details about where in the line that bit came from. 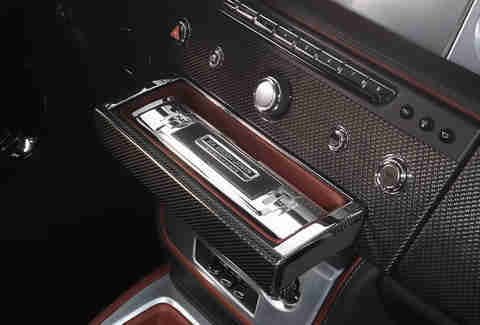 Far from the final touch, the speedometer is actually made from brushed steel, should you for some reason feel the need to do the driving yourself instead of a chauffeur. Aaron Miller is the Cars editor for Thrillist, and can be found on Twitter. The last time he was in a Rolls-Royce, the car asked him if he'd like a spot of tea. That's not even a joke.